Even as 2018 continues to get filled with numerous all-genre video games - from VR to JRPG, to adventure, to horror, to Co-op, among others - amazing ones continue to get special interests of game fans. Yotes Games never relents in its continuously burning quest to create super experiences for gamers. 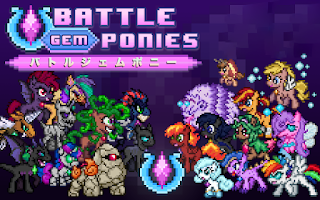 This informed the team's decision to take up another massive RPG game - Battle Gems Ponies. This is a competitive turn-based adventure game where you battle against evil pony masters, and rescue their subjects from being incited to perpetrate evil acts. This game comes with a multiplayer mode which also allows you to battle other players to become the WORLD BEST PONY TRAINER. You can either use a single-player mode developed team or a pony-customized team. What are you waiting for? Do not wait to become a quick meal for some 'flesh-eating' and 'blood-thirsty' ponies. Visit the official website for more details. Update: The multiplayer feature planned has been cancelled for the time being in favor of an even better single player experience, sorry for the confusion! Julius is a versatile freelance writer with over 7 years of writing experience. Contact him here!